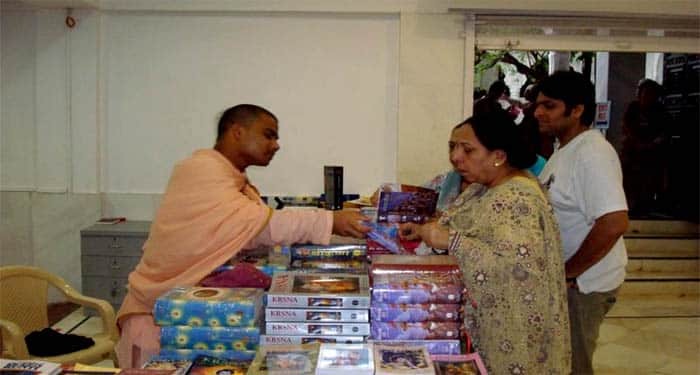 Kolkata: The International Society for Krishna Consciousness (ISKCON) headquartered at Mayapur in Nadia district has embarked on a book distribution marathon all over the world. 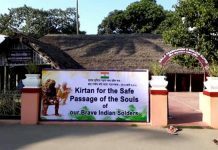 Under this annual exercise, ISKCON is distributing free of cost copies of the Bhagavad Gita published by its in-house publishing house Bhaktivedanta Book Trust. BBT has so far published Bhagavad Gita in 87 languages of the world and India. Common people, celebrities, politicians, etc. are being offered a copy of this Vedic literature. “The objective of the exercise is spread Vedic wisdom as a harbinger of peace and universal brotherhood. 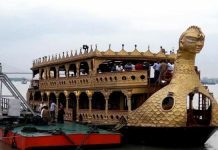 This was the desire and dream of our founder AC Bhaktivedanta Swami Srila Prabhupada,” said Subroto Das, spokesperson of ISKCON Mayapur. Das said that the free distribution of Bhagavad Gita will be continued throughout the month of November and December in India with monks and dedicated devotees joining in the efforts. Some are covering the villages and towns in eastern India; others are doing this in northeast India. “Recently copies of Bhagavad Gita were presented to cricketer Virat Kohli and Jhulan Goswami. 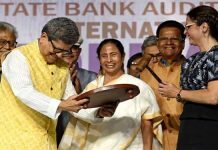 The latter was delighted in receiving a Bengali translation ‘Bhagavad Gita Jathajatho,” Das said.